Your website is your 24/7 Reception. Does your website represent your business the right way? One third of buyers choose the first one on search results. Nine out of ten buyers don’t go past page one of search results. 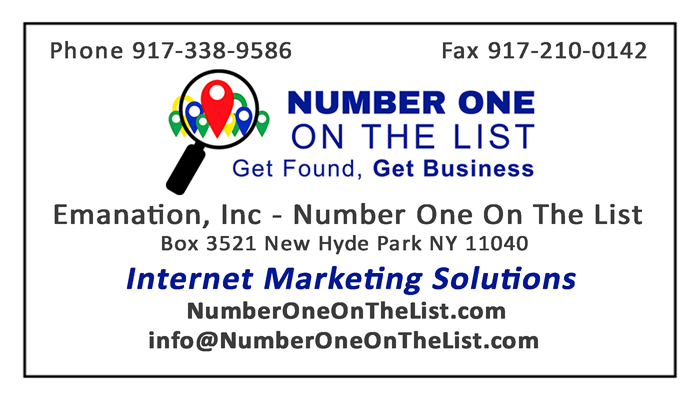 Visit NumberOneOnTheList.com for websites and SEO help. Do sixty percent of your new customers look you up on the internet? Free website analysis. NumberOneOnTheList.com for websites and SEO help. Is your website Search Engine friendly? Get a Free Website Analysis and find out.